Sometimes, you see something so fantastic that it evokes your Aunt Cindy from the south and makes you say “I could just eat that up!” We had that reaction when we saw these unique kitchens. We also drooled a little. We’re gluttons for the gold detailing in this kitchen. 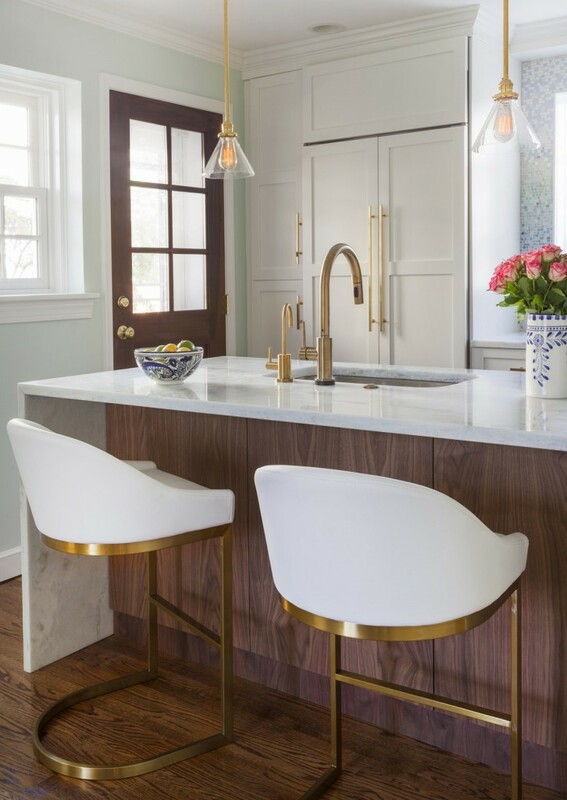 The gilded hardware, fixtures and chair detailing have us hungry for more – especially against the crisp white and rich woods! The clean lines. The yummy stools. The cheerful, yet minimalist air. 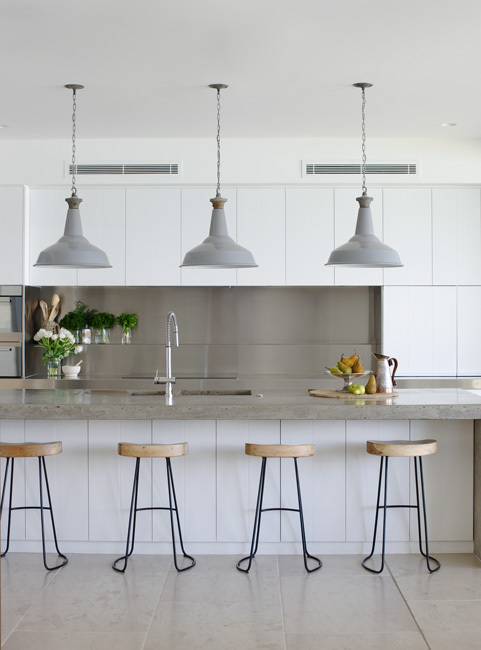 This kitchen is serving up some serious design appeal. Dish us up some, please! Orange we glad we found this gem! 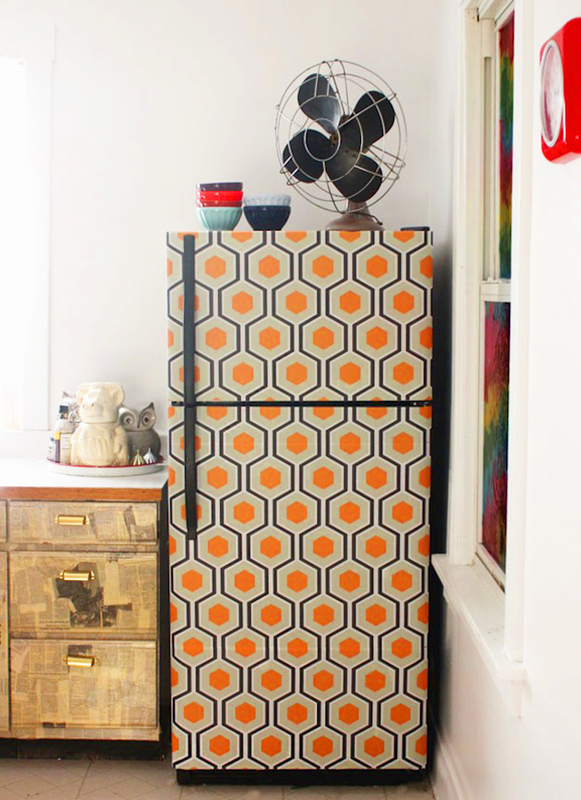 The temporary wallpaper treatment on this fridge is pure perk-it-up genius. And maybe even be the best thing since sliced bread.